When you look at concrete from a distance, you probably see it as a solid surface. But up close, you’ll see tons of tiny openings. Since concrete is porous, it allows all types of contaminants to seep down, build up, and cause stains. Pressure Pros of the Carolinas offers concrete cleaning services to restore the look of paved areas around your home or commercial building. We can remove even the most stubborn stains, including oil, paint, and mud. 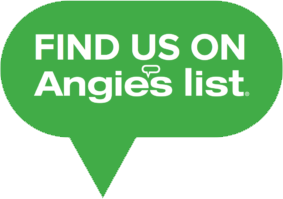 From patios and walkways to pool decks and tennis courts, we can clean it. Don’t forget your garage floor. Just like your driveway, your garage floor catches leaking fluids, dirt, and anything else your car tracks in. We clean interior garage floors and seal them to make them more stain-resistant in the future. Driveways are meant to take a lot of abuse—and it shows. Even if you’ve moved into a new home or have just had it repaved, it’s a sure bet that your driveway will soon show signs of wear and tear. Vehicles track mud, dirt, gravel, and pollen onto concrete or asphalt surfaces, leaving them streaked and stained. Of course, rain will wash some of this away. But over time, this grime will build up, enter any cracks and crevices in your driveway, and leave things looking worse than they should. Spots from oil and other automotive fluids are even tougher. These go deep down into the surface. The same holds true for black marks from your tires. Over time, you may see tracks develop on the path you usually travel. You may think these stains are permanent. The good news is that they aren’t! Our driveway cleaning service will remove oil spots, tire tracks, mud, and grime from your pavement. 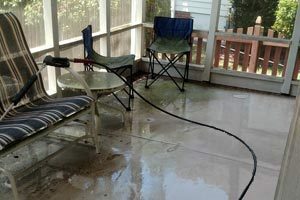 We use a combination of water, pressure, and chemicals to remove the buildup and leave your driveway looking like new. We also clean parking lots and other exterior and commercial surfaces. Ready to give your concrete or driveway a fresh new look? 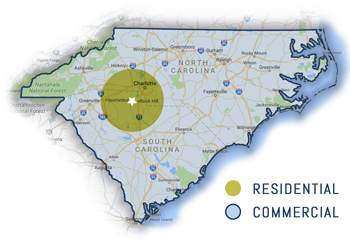 Call Pressure Pros of the Carolinas today! 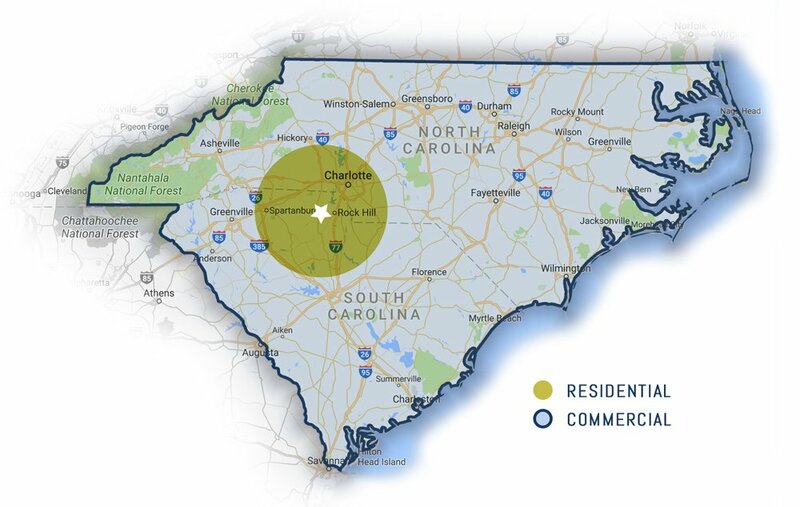 Our commercial services are available throughout North and South Carolina, while our residential services are available to homeowners in Rock Hill, Fort Mill, Charlotte, Tega Cay, Indian Land, Lake Wylie, and surrounding areas.